As a 'Chapel master' of the Court of the Elector of Saxony, Heinrich Schütz was responsible for all 'official' music: both for the Church and the Court. BTW: Very often Church and Court 'merged'. During the Thirty Years War (1618-1648) the Elector of Saxony tried to mediate, although he was Protestant. One of the last possibilities to avoid a 'total war' in Germany, was the Mühlhausen Kurfürstentag of october/november 1627. There the Emperor of the Holy Roman Empire, Ferdinand of Austria (Habsburg), met with his most powerful German Princes, the Prince-electors. On the image below you see the seven Electors around 'their Lord and Master', the Emperor. 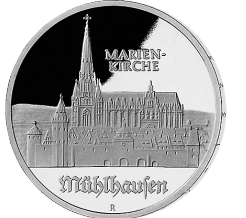 The event took place in Mühlhausen, a Freie Reichsstadt (republican self-ruled membercity of the Holy Roman Empire). As the court composer of Johann Georg I (the Prince-elector of Saxony) Schütz had to provide the music for the event. Lots of performances of 'table-music', ballets etc. No single note of this music is transmitted to us. What we have though, is the official music played at the arrival of the Emperor and the Princes, or at least: at a Church Service where they were present, most likely at the beginning of this 'Political Summit', which was going to decide about war and peace in Germany. Many practical arrangements of 'living together while religiously separated' were at the agenda, one of the most tricky issues: the roman-catholic convents and cloisters in protestant areas. If one could reach an agreement, peace, or at least a cease-fire might be possible. The effect will have been quite impressive: One hears the continuous prayer for peace, embedded in the sound of the consort of violas-da-gamba, a 'humane' sonority which has no equal in the modern instrumentarium, but coming from 'far', from the Choir of the Church, where the Altar is, while the festive 'vivats' fill the Church, perhaps enforced by the sound of trumpets or trombones. In the end however only the prayer remains, because in the final part Choir I and II join forces in one: Da pacem domine, in diebus nostris. In this video I tried to evoke this using a 'text-overlay' while Cantus Cölln and Musica Fiata perform this motet. In my humble opinion Heinrich Schütz also tried to deliver a message to the 'men in power'. Just listen and you will feel it. DEDICATION (in Latin) This text closely mirrors the text of the motet. Grant peace, Lord. And long live Ferdinand, the most unconquerable emperor: the most holy men of Mainz, Trier, Cologne: the most glorious men of Bavaria, Saxony, Brandenburg: the Electors of the Holy Roman Empire—seven most august men, gods of our Germany, blessed tutelary deities, bringers of peace! 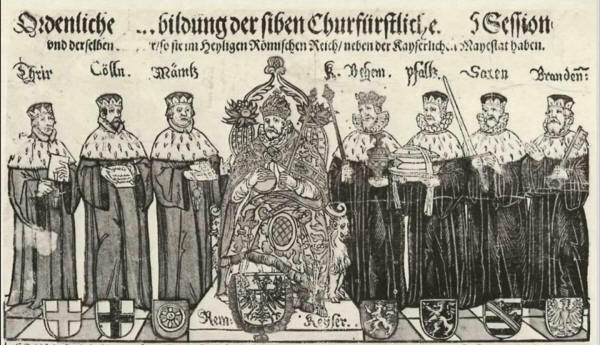 Heinrich Schütz, Kapellmeister of the Most Serene Elector of Saxony, wishes, and expresses his wish with nine voices, that these men may, with the protection and help of God most high and everlasting, with the Temple of Janus firmly closed (i.e. there is no war, DW), establish and secure altars of peace and liberty in imperial Mühlhausen. Secundus Chorus is for four singers which articulate the text with elegant grace [gratiâ], and otherwise sing fully. It is also possible to have this choir set up separately from the first. [original: "welche die Wort mit feiner gratiâ aussprechen und sonst stark singen, und kan dieser Chor Von dem ersten absonderlich gestellet werden".